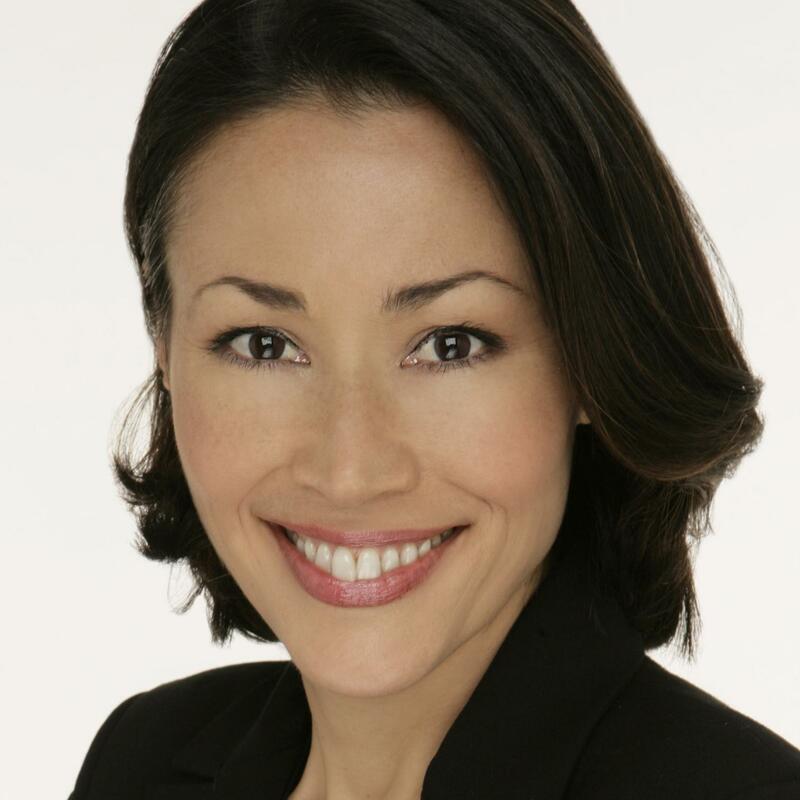 Ann Curry is the NBC News national and international correspondent/anchor and “Today” anchor at large. Curry reports for all platforms of NBC News including “TODAY,” “NBC Nightly News with Brian Williams,” “Dateline,” MSNBC, and all digital properties. Curry also serves as anchor for multiple NBC News primetime specials and regularly substitute anchors for “NBC Nightly News with Brian Williams”. Curry served as co-anchor of NBC News’ “Today,” from June 2011 to June 2012 and as news anchor from March 1997 to June 2011. She served as the anchor of “Dateline NBC” from May 2005 until September 2011. Curry has distinguished herself in global humanitarian reporting frequently traveling to remote areas of the world for under-reported stories. During the span of one year, from March 2006 to March 2007, she traveled three times to Sudan to report on the violence and ethnic cleansing taking place in Darfur and Chad. While there, she provided in-depth reports focusing on the victims who have been caught in the deadly conflict of that region, and she also conducted exclusive interviews with Sudanese President Omar al-Bashir and Chadian President Idrsiss Deby. In February 2009, she returned to the Darfur region to continue her reporting on the humanitarian crisis and to cover the looming arrest of al-Bashir for Crimes against Humanity in Darfur. In October 2010, Curry spent a week traveling through the southern region of the Sudan with actor and activist George Clooney to shed light on the tensions building in the country. In February 2012, Curry made her sixth trip to Sudan to cover the vicious bombing campaigns targeting black African tribes in the Nuba Mountains. In spring 2008, Curry broadcast live from the Democratic Republic of the Congo where she reported on the horrific struggles of the women and children from the city of Goma. She also traveled to Serbia in 2008 where she examined the deplorable conditions of Serbia’s mental institutions. Curry was the first network news anchor to report on the humanitarian refugee crisis caused by the genocide in Kosovo in 1999, reporting for NBC News from Albania and Macedonia. Curry has conducted numerous exclusive interviews with world leaders and dignitaries including three notable discussions with Dalai Lama, the first during his trip to the U.S amid violence in Tibet in April 2008, the second at his private home in India in March 2009, and the third, on May 20, 2010 on “Today,” his first live on-set interview on a morning news program. Curry sat down with former Pakistan Prime Minister Benazir Bhutto just two months before her assassination in December 2007. In September 2011, Curry was granted the first-ever behind-the-scenes-access to the daily schedule of Iranian President Mahmoud Ahmadinejad. It was in this exclusive interview that Curry broke the news of his plans to free the much-publicized two American hikers who had been held hostage since 2009. In November 2011, Curry reported live from Baghdad, Iraq and conducted an exclusive interview with Vice President Joe Biden who was in Baghdad for a U.S.-Iraq Higher Coordinating Committee meeting. Curry also talked to Pakistani President Asif Ali Zardari in his first-ever interview with an American news organization. Other Curry exclusives include Liberia’s Ellen Johnson-Sirleaf, the first female elected President of an African nation; the first highly sought after interview with Thomas Hamill, the truck driver for Halliburton subsidiary KBR, who escaped captivity in Iraq; the first interview with accused spy Wen Ho Lee after he was cleared of all charges of espionage against the United States; and the first interview with the parents of the McCaughey septuplets. Curry also repeatedly landed the first exclusive interview with Lance Armstrong after his Tour de France wins. In the wake of the record-breaking earthquake and devastating tsunami of March 2011, Curry was one of the few network anchors to travel to Japan and provide on-the-ground coverage of the crises unfolding across the country. In January 2010, Curry was one of the first reporters in Haiti after the debilitating earthquake that hit that country. Twitter named Curry’s message calling for the Air Force to allow physicians to land in Haiti to administer aid to the injured, the #1 tweet in 2010. In February 2010, she traveled to Chile after that country’s massive earthquake, and in August of 2010, Curry reported live from Islamabad, Pakistan, covering the massive flooding devastation. While in the region, she interviewed Senator John Kerry. In July 2006, Curry reported on the Israel-Lebanon war, and she was one of the only American reporters to file stories on both sides of the conflict from Beruit and Northern Israel. In the summer of 2005, Curry traveled with First Lady Laura Bush throughout Africa to examine the continent’s HIV/AIDS epidemic, women's rights and education. She was the first network news anchor to report from inside the tsunami zone in Southeast Asia, filing reports from Sri Lanka for all NBC News and MSNBC programming. As part of “Today’s” unprecedented Ends of the Earth series, Curry has extensively examined the effects of climate change traveling to Antarctica and the South Pole in November 2007, and climbing Mount Kilimanjaro in November 2008. Curry traveled with “Today” to Beijing in 2008 for the Summer Olympics and to Vancouver in 2010 to cover the Winter Olympics. She also traveled to London for the Royal Wedding of Prince William and Kate Middleton. In the first two weeks following the 9/11 attacks, Curry reported live from Ground Zero every day. When the United States bombed Al Qaeda targets in Afghanistan in November 2001, she reported extensively from the USS Theodore Roosevelt in the Arabian Sea, and landed the first exclusive interview with the war’s military commander, General Tommy Franks. Curry reported from Baghdad in the weeks leading up to the war in Iraq, and then from the USS Constellation as the war began, interviewing fighter pilots who flew the first wave of bombing runs over Iraq. She also filed reports from inside Iraq, from Qatar, and Kuwait during the first weeks of the war. Curry first joined NBC News in August 1990 as a Chicago-based correspondent. In 1992 she was named anchor of “NBC News at Sunrise.” She later helped launch MSNBC and then became news anchor at “TODAY.” Before coming to NBC, Curry was a reporter for KCBS in Los Angeles. In 1981, she was a reporter and anchor for KGW, the NBC affiliate in Portland, Oregon. Curry began her broadcasting career as an intern in 1978 at KTVL, in Medford, Oregon, near her hometown, rising to become that station's first female news reporter. Curry has earned seven Emmys Awards four Golden Mikes, several Associated Press Certificates of Excellence, three Gracie Allen Awards, a Matrix Award from New York Women in Communications, and an award for Excellence in Reporting from the NAACP. In June 2007, Curry was honored with the Simon Wiesenthal Medal of Valor for her extensive reporting in Darfur. She has been awarded by Americares, Save the Children, Women of Concern, the Anti-Defamation League as a Woman of Achievement, and the Asian American Journalists Association, receiving its National Journalism Award in 2003. She has also won numerous awards for her charity work, primarily for breast cancer research. Curry graduated from the University of Oregon School of Journalism in 1978.